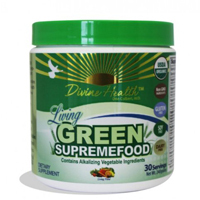 This Living Green Supremefood review, is a nutritional supplement created by Dr Don Colbert, Divine Health. There are a great many green ‘superfoods’ on the market. At a guess there would easily be more than 200 brands and they all have different formulations. But what are superfoods? There are many definitions. 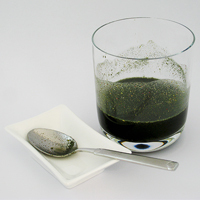 Some will have goji berries, acai berries, wheatgrass powder, or based on herbs, veggie powders or grains, some have single-celled algae called organic Spirulina in them, some are densely packed with these active ingredients, others are mostly a carrier with only a speckle of ingredients, the list goes on and on and on. With so many different brands this is clearly a highly competitive market and because they all claim to offer different health benefits and they will all make claims of their superiority over competing products it also causes massive confusion for consumers, myself included. 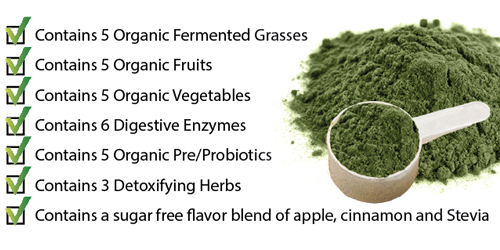 So when Dr Don Colbert from Divine Health holistic healing center approached me for a review his Living Green Supremefood I was excited to see what makes this product special and reading the ingredients list (see below) it certainly promises to be one of the elite green superfoods. 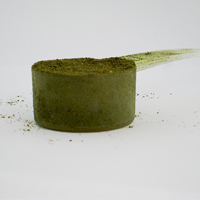 This product contains powdered greens and has been certified as “organic supplements” by Quality Assurance International (QAI), a for-profit corporation, established in 1989, and headquartered in San Diego, California. Japanese Agricultural Stan (JAS) through QAI’s Japan-based partner EcoCert. It is safe to say then that with this level of international scrutiny, obtaining QAI accreditation is no mean feat. While it doesn’t prove efficacy (ie does it work – more about this later) it certainly attests to the quality of the ingredients used. The literature on each of these and every one of ingredients in the table above is replete with accolades of their efficacy and benefits and a quick search on the US Food and Drug Administration (fda.gov) and US Department of Agriculture (usda.gov) websites gave me a very clear understanding as to why so many people say such good things about these ingredients. As I said I was excited, so now it’s time to dig deeper so here is my review of this holistic nutrition product. While it is important to know something about the ingredients in this product, it is equally important to know what is not in it, particularly for those people who have certain food allergies. This greens supplement is diary-free, gluten-free, soy-free and does not contain any ingredients that have been genetically modified (ie GMO), which is an absolute pre-requisite under any organic labelling scheme. According to the Dr Colbert website, to preserve the quality of the ingredients they are dried using a slow low-temperature drying process. The key benefit of this is in the way it preserves the delicate molecular structure of the heat sensitive bioactive compounds, phytonutrients and digestive enzymes, all of which are easily destroyed when using faster but harsher high heat processes adopted by most other manufacturers. It is this level of care that sets apart a high quality product from all the “also-rans”. Our package arrived in a timely manner, it was well secured and in perfect condition with all seals intact along with the receipt and product documentation. All this attests to the care that was put into the packaging to guaranteeing the freshness of the contents. Judging from the website I did expect a larger box but what arrived measured roughly 4” x 4” x 4”, (10cm x 10cm x 10cm) which for one month’s supply (30 servings) seemed small, but no doubt a direct result of the high potency of the contents – ie no filler that contributes nothing other than unnecessary bulk. I excitedly opened the box, had a quick scan of the accompanying literature and proceeded forthwith opening the container. 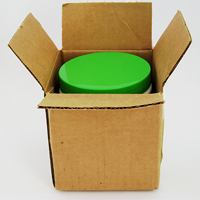 The first two things I noticed when I took off the lid were the vibrant olive green color and the absolutely delicious aroma as it filled the air enveloping me with the smell of freshly cut grass and organic herbs with a hint of sweetness. It made me salivate and couldn’t wait to taste it! 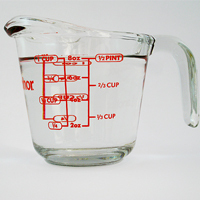 The indicated amount is the equivalent of one serve, enough for one day per person and it is best to drink 30 minutes after eating so that the goodness is absorbed quickly into your body. While it’s all very well for something to be healthy, if it doesn’t taste good then it’s unlikely to be used. 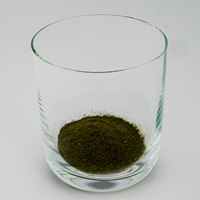 There is certainly a perception that green products taste weird, however that is not what we found. 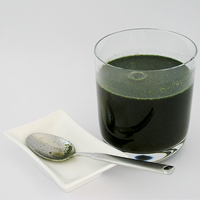 It is probably the best greens supplement we’ve ever tried and enjoyed drinking just for the taste alone, and the healthiness almost felt like an added bonus. I know it sounds weird but we did like it that much. 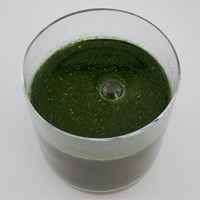 This densely packed nutritious living fuel super greens drink tasted fresh and light with just a hint of sweetness to counterbalance a slight earthy flavour on the side and back of the tongue. The result is a complex and very enjoyable balance in the mouth. Immediately upon drinking this product we could actually feel the goodness of the ingredients as soon as it hit our stomach. There was no denying this felt like something very special. It felt alive! Because we eat incredibly healthily and we look after our bodies with regular exercise and because of that we didn’t actually expect this product to make a massive impact, however, drinking this supplement of mass nutrition gave us an incredible sense of wellbeing, we felt warm and fuzzy and more energised, fuller and more satisfied between meals and it improved our digestion. As a result of all this we felt less of a need to eat as often or as much as before. For those looking to address a weight issue, this will be a good thing. Note: Not only is this product available in powder form (as tested here) for your convenience is is also available in cube (12 Packs). One this website we always talk about how a healthy and well-balanced diet is the absolute fundamental requirement for healthy living. We believe that organic supplements such as this product are the perfect addition to your daily routine regardless if you eat healthy foods or not. 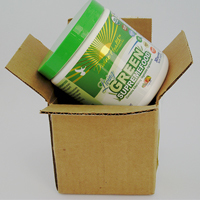 Based on our own personal experience I can confidently say that Living Green Supremefood has had a very positive impact on our lives, as healthy as we are. There is plenty of evidence that the ingredients used in this product are known to be health-giving and the way Dr Colbert and his team have treated them shows care and utmost respect. We have no hesitation whatsoever in using this product as part of our ongoing regime and hope that you will give it a try and experience for yourself the benefits you can derive from this delicious supplement. Disclaimer: Our findings have not been evaluated by the US Food and Drug Administration and are entirely based on our personal experience in using Living Green Supremefood. Please consult your doctor before starting any exercise or nutritional supplement program or before using these or any product during pregnancy or if you have a serious medical condition. Click here to read more about Dr Don Colbert, the man behind this product. What is the Clean Program?